If you are away from your near and dear ones and want to connect to them, Google hangout is a best place where you can join them instantly by messaging, video call or audio call. 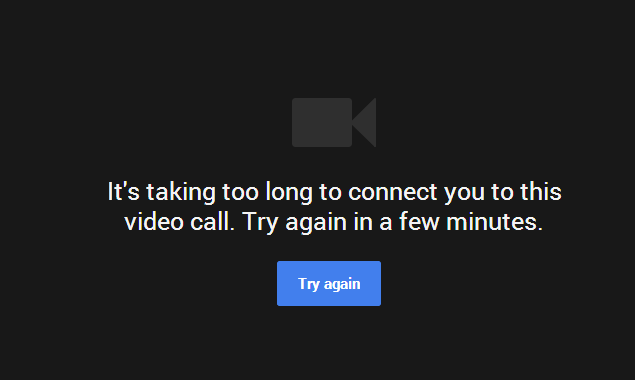 1.Check your network connection, if it is alright then go for next step to see any error in your hangout. 2.Make sure if the problem is from your side or the other person. Send messages, call or do video call to some more people. If your is forwarded to other persons then it is problem from that particular person whom you are unable to contact. Ask that person to troubleshoot the error. 3.If you are can’t make calls to anyone, then, problem is from your side.Make sure the microphone, camera, and speakers are working properly and turned on. If any of the hardware is connected through USB, then, make sure the device driver software has been successfully installed. 4.Make sure the microphone or the camera is turned on. 5.Look if any other program on your computer is not using your microphone, camera or speakers. 6. Check your Google hangout settings by clicking on the Settings, which is at the top of the video call window. 7.Restart your call and computer. Exit the app, close the app. Restart your device and start the hangout app again. Try the above steps to troubleshoot the problem of Google hangout not working.